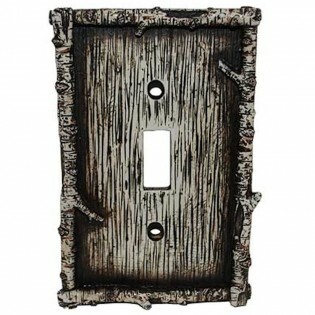 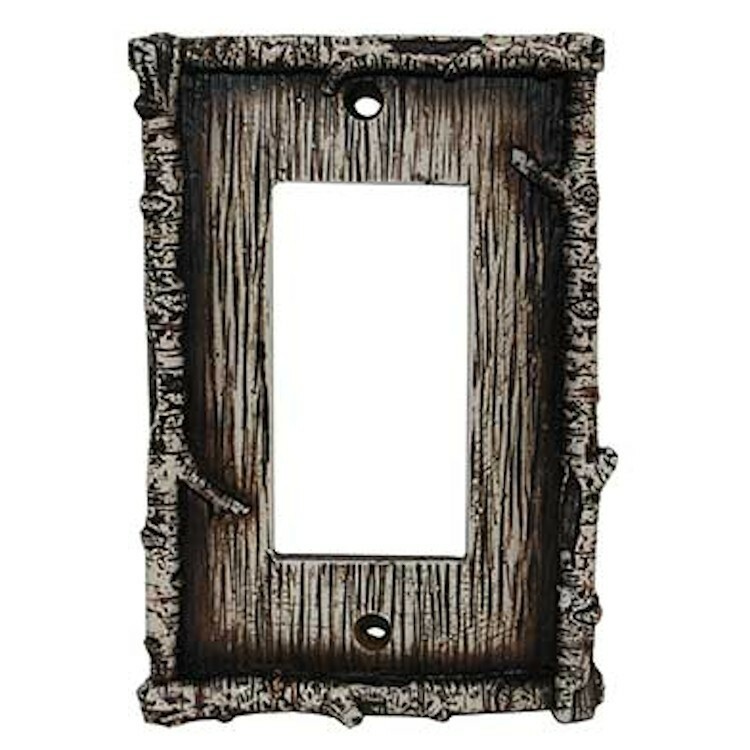 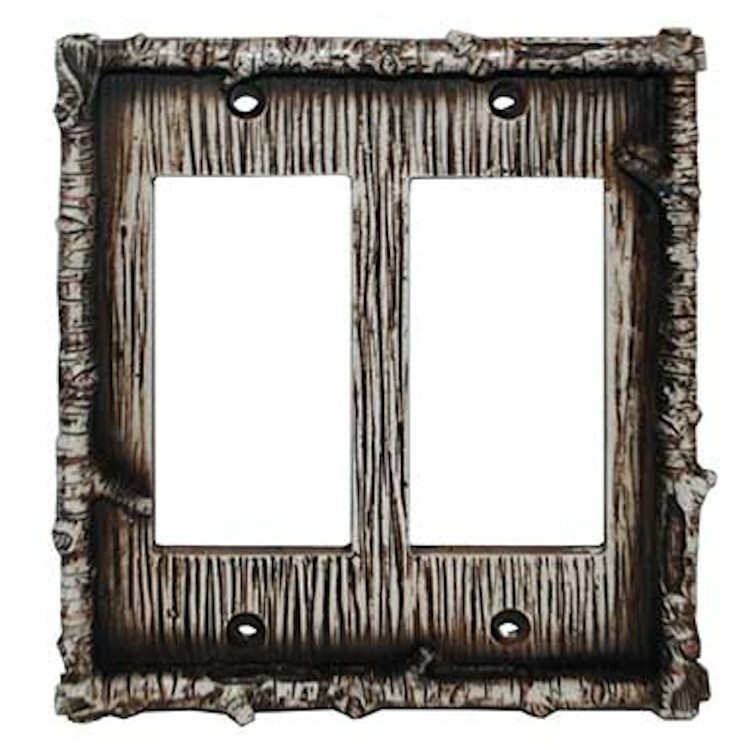 The Pine Bark Switch Plates feature a textured birch tree bark finish surrounded by reproduction twigs. 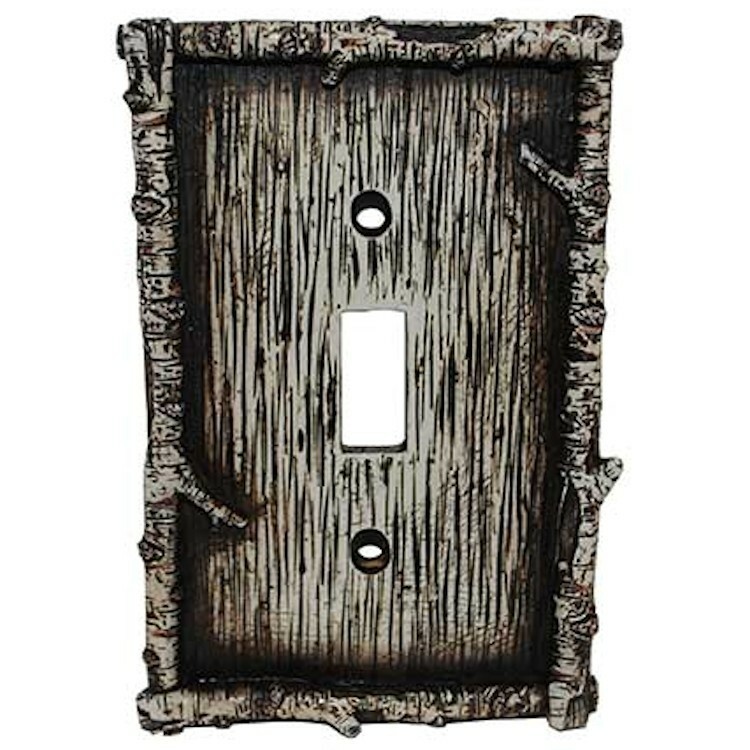 Add this lodge style switch plate to any room. 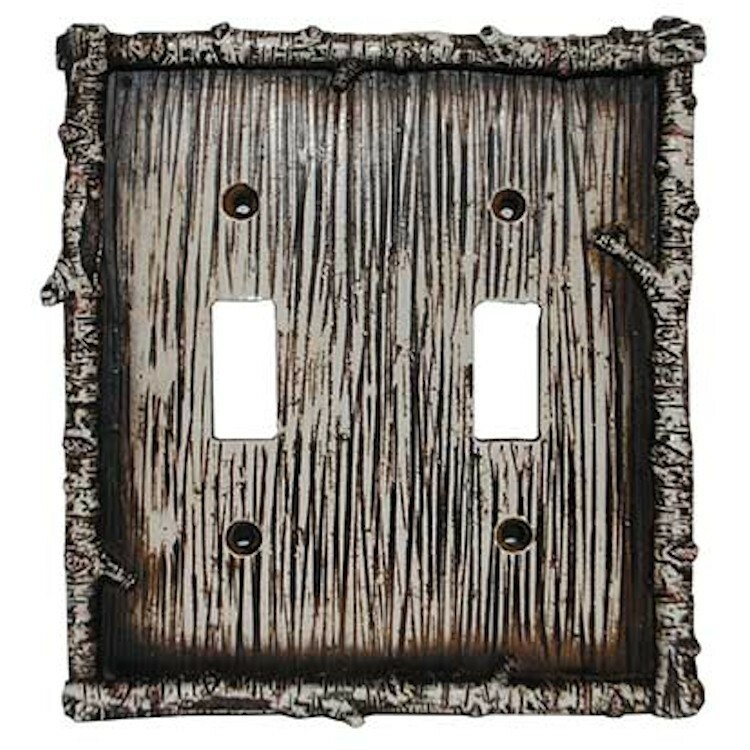 The Birch and Twig Switch Plates feature a textured birch tree bark finish surrounded by reproduction twigs. 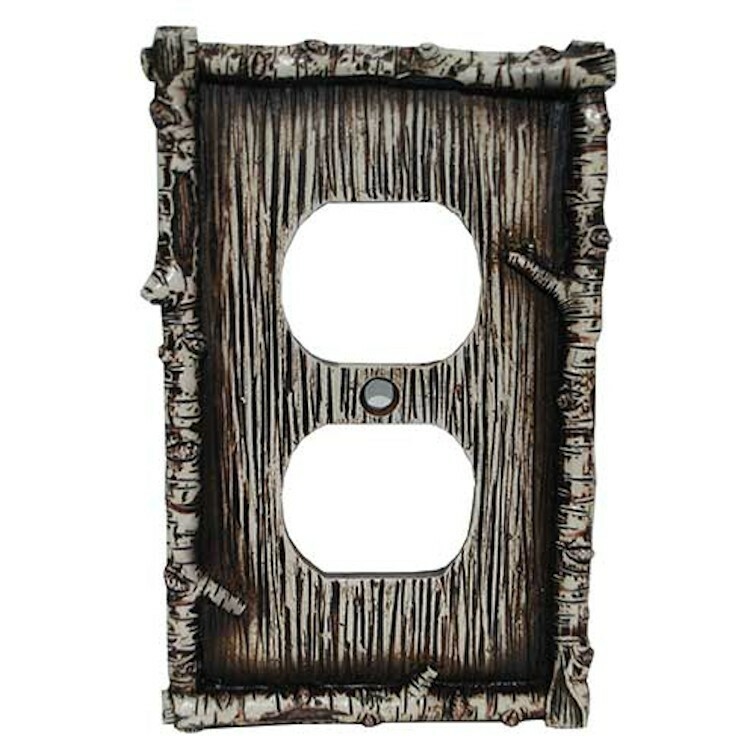 Add this lodge style switch plate to any room.